Saudi Arabia’s two most important national economic goals are diversification and the creation of jobs. Simply, if the economy fails to diversify and doesn’t create enough jobs for Saudis, prospects for Saudi Arabia’s post-oil future will be severely diminished. An economic development plan is only as good as its implementation. 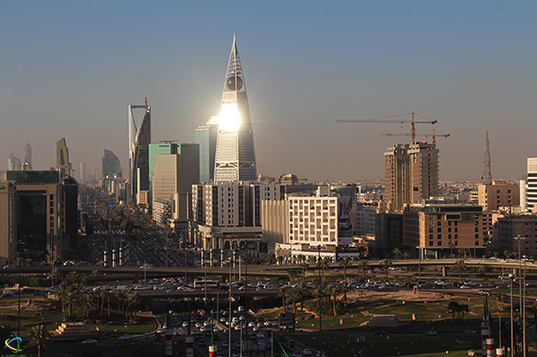 Saudi Arabia has issued nine 5-year development plans and is preparing another for the 2015-2019 period. Saudi Arabia is among the few nations that still produce five year plans. India and China do, as well. However, unlike China, Saudi Arabia has not consistently implemented what it states in its plan documents. Labor should be a key priority of any Saudi development plan. Planners, and their consultants who often hardly understand Saudi Arabia, should keep three things in mind: a) the demographic window of opportunity is closing; b) immigration is driving the economy towards low productivity (but remains “profitable” for private-sector employers due to low wages) and; c) oil remains the dominant factor in the Saudi economy although it is historically a volatile sector. Nothing in economics, as in life, remains constant and ever-lasting. This is certainly true with commodity prices. If the goal is an economy characterized by high value-added, high productivity, high wage jobs, the Saudi private-sector must be both prompted and enabled to become the key driver in employment creation. Government planning needs to address this from the top-down. This is not the task of the Ministry of Labor.The critical policy instrument is the upcoming 5-year Plan. What will be included in it and how well it will be implemented is of fundamental importance. Previous 5-year plans have mentioned diversification yet the economy remains almost as un-diversified as it was at the time of the first development plan. Take a look at the targets and outcomes of the 8th Five-Year Plan (2004-2009). The employment target was set at 4.7 million and the outcome was 3.9 million, a 21% shortfall. Unemployment was targeted to decline from 268,000 to 139,000. Yet, in 2010 unemployment reached 414,000, off target by 298%. Reduction in the unemployment rate was targeted to fall from 7% to 2.8% but instead unemployment by 2010 reached 11.2%. The unemployment target was off by 400%. Finally, the Saudization target was set at 52% and the outcome was 47.9%. At first glance, the goal seems to have been almost achieved. However, of the 2.2m increase in employment in the private sector only 195,755 jobs were taken by Saudis. In addition, most of the jobs created from 2004 to 2010 were in the public sector. The dependence on public sector hiring remains high with 43% of all jobs created since the implementation of Nitaqat in the public sector. Any economic plan must prioritize quality job creation and the long term diversification of the economy away from public employment. The upcoming Five-Year Plan is a critically important document that should require that all Saudi ministries and agencies related to employment and the economy be on the same page. Ideally, the plan time-frame would be reduced from five years to three years so that there can be better alignment between its stated goals and the medium-term fiscal spending required to achieve them. Finally, if goals aren’t met planners need to be held responsible for failure. Time is of the essence. Saudi Arabia must throw the full weight and commitment of the government into implementing a meaningful economic plan that will result in real progress towards diversification and the creation of jobs for Saudis. John Sfakianakis is the Chief Investment Strategist of MASIC, the Riyadh-based investment and asset management company, and a regular contributor to SUSTG.org.